Savor the flavors of everyone's favorite snack in a delicious cup of warm coffee. 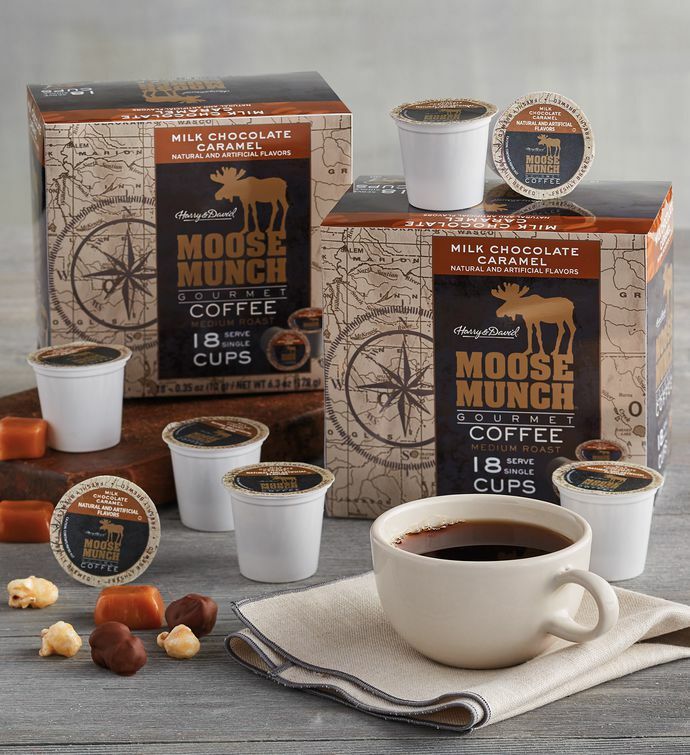 Made with 100% Arabica beans, this brew is inspired by our ever-popular Moose Munch® Premium Popcorn and features notes of chocolate, caramel, and nuts for a morning beverage guaranteed to delight. Convenient single-serve cups make it easy to enjoy a cup whenever the mood strikes.